For reasons of space and running costs, I have never had reason to purchase a colour photo printer for home use. Although having my own printer would give me a lot more flexibility in to what I printed and when, I feel the cost per print is not much different to various online services. So over time I have tried out a number of online photo services in the Netherlands, but have now finally found one company that, after a number of positive experiences, am going to stick with. The company, ProFotoNet, a division of FotoSystems in Gouda, has a very simple to use website. It is possible to either download some software (for Windows) or use their online tool (for Mac users) to upload the pictures to their server. Previously, Mac users were a bit limited to the browsers they could use to upload their pictures, but with the latest version of the online software I have successfully uploaded with both Mozilla variants (Flock) and Safari. The quality of the images is stunning – they print everything on Kodak Endura paper, and I choose the Endura Metallica finish, which has a layer of silver in the paper to give certain colours a metallic look when held to the light. One of the reasons that the colours are so good, and can accurately represent the image as it is on the screen, is that ProFotoNet provides icc calibration profiles, to which the images can be converted before they are uploaded. But also without these profiles, providing the images are uploaded in either AdobeRGB or sRGB, they will do the conversion for you. The best thing about the service is the price – a 10x15cm print is only 0,32â‚¬, a 20×30 print on Endura Metallic is 2,99â‚¬, and a 30x45cm print comes in at 7,50â‚¬. Admittedly this is a bit more expensive than somewhere like the Hema, but this is a pro service, and delivers pro results. A couple of other things worth mentioning – firstly the speed: recently I placed an order at 10pm on Sunday evening, and received the order Tuesday morning by 10am. This is normal for ProFotoNet, I think they mention on their website that if images are uploaded by 3pm, they will normally be shipped out the same day. Also the payment is very easy – the prints are made on credit, and an invoice is sent along with he prints, with the request to make payment within 14 days. DRR User? Move your pictures! Mhhhh… good tip – I will try them ! I’ve used their service a couple of times and I agree with the above. Highly recommended! I just came across your post and just thought it may be of some interest to you to know, a while back i found a british labels company who printed be a batch of labels on their digital label printer the printing quality was excellent, if interested take a look on their website. hey! 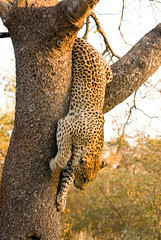 did you take that photo of a leopard on a tree? if you did: props on that. anyway I was wondering if you could throw me a tip.. i want to get a photo printed on some nice (large) paper but I don’t know what kind of paper to go for. I’ve never had a digital photo printed (yes, I’m old school, a child of the darkroom).